There has been a lot of talk lately on the internet, about Missy Elliot’s great song Work It. Finally, her lyrics have been deciphered and the strange backwards sounding line shown to be just “Put my thing down, flip it and reverse it” REVERSED! Amazing. Simultaneously I’ve seen some talk about a technique called the ‘reverse dry shake’. I’m wondering if this has something with the times, the zeitgeist (which I’ve just learned the exact translation of is “time spirit”. How cool is that? ), the seemingly global reversal of openness and reversion to nationalism. But I digress. the drink, and the distinct separation between the white, eggy foam and the deep red drink. It was hard to believe both things came from the same shaker. I have always made egg white drinks using the conventional dry shake method, adding all ingredients to the shaker and sealing it, shaking those ingredients, unsealing, adding ice, and reshaking to chill and add water content. This, to my knowledge, was the only way to do it. This method yields a smooth, unified drink that slowly separates to egg foam, and basically, cocktail without egg white. As far as I know the goal of drinking an egg white drink was to finish it before this separation occurs, thereby retaining the slightly thick and viscous mouthfeel that adding egg white gives to the cocktail. What I mean to say is that the entire point of egg white in the drink is not just to create some foam floating on top, but to change the entire mouthfeel. Admittedly, this method results in a drink that is slightly less photogenic than the reverse dry shake. 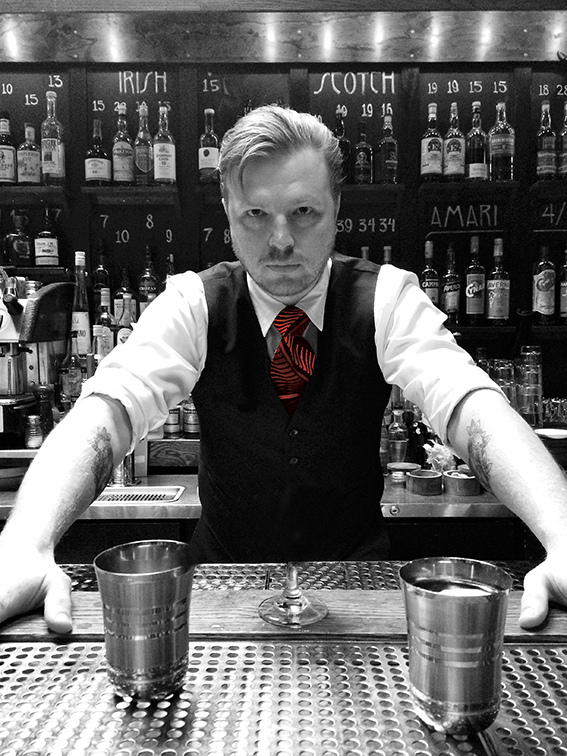 I don’t mean to decree what is ‘right’ or ‘wrong’ for bartenders all over the world. It is more about the reason we do things. Methods, all of them, as long as there is some serious thought about the ‘why’, are right. I’d just ask all of us to be responsible to the aims of bartending. At root, I think we can all agree, is the general goal of customer satisfaction and return visits, with a more modern and secondary aim of getting publicity through Instagram and other forms of social media. It is clear, to me, at least, that one of these methods focuses on the interaction of drink in glass with your mouth, and one focuses on that drink’s interaction with your eye. white? Or that oooooooooooohhhh moment and a foamy moustache? This is bartending and, ultimately, a subjective pursuit. In the immortal words of the great MC Humpty Hump, from Digital Underground, doowutchyalike, just know why you do it.